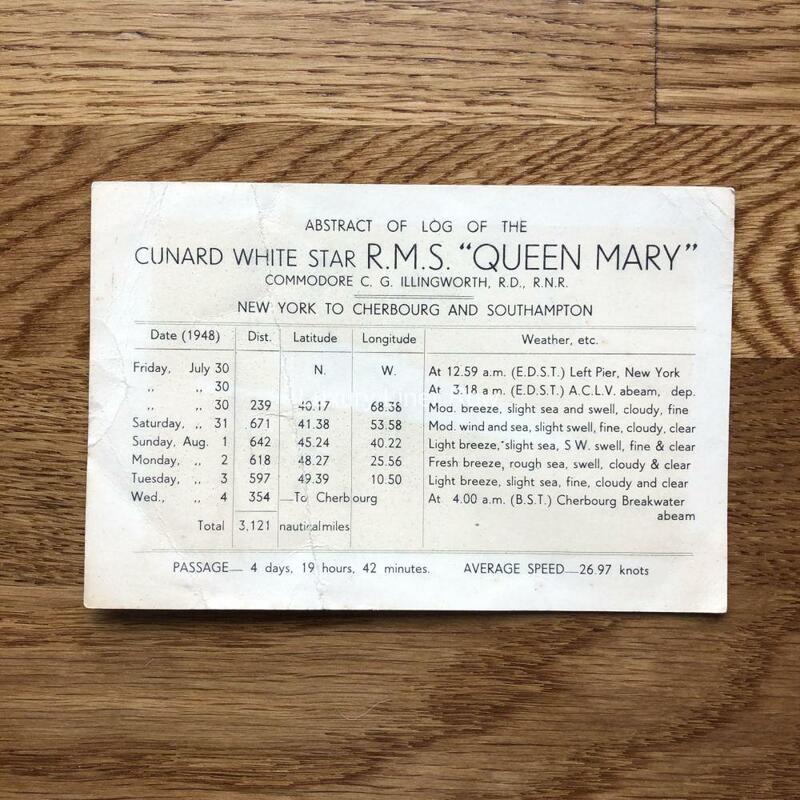 Abstract of log card from her July 30, 1948, voyage from New York to Southampton via Cherbourg. 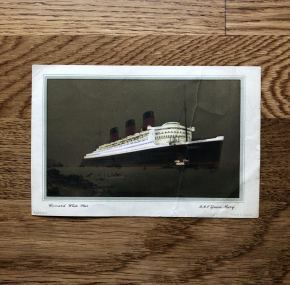 Commodore Illingworth in command. 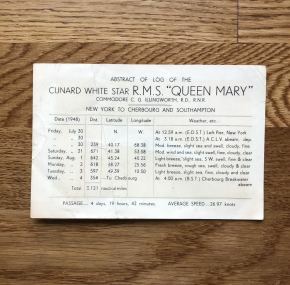 It’s interesting to note that the commodore of the Cunard fleet was in command of the Mary and not the Elizabeth at this time as well as for many voyages both before and after even though the Elizabeth was the flagship of the fleet. 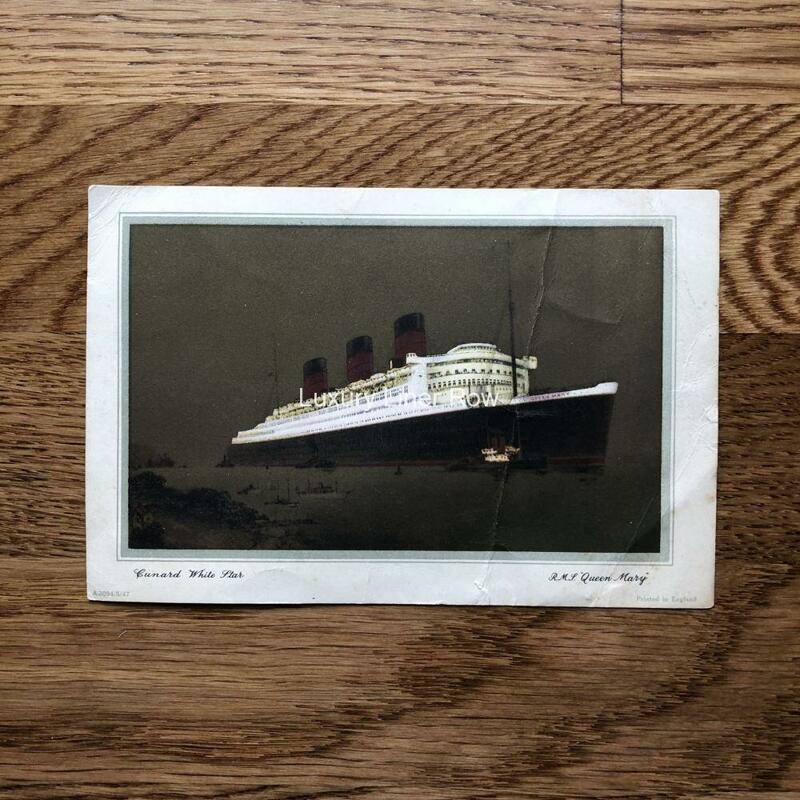 Had been folded at some point.